The video game industry is slowly beginning to rise from its annual summer slumber. Ever since Rockstar committed to a late-October release for Red Dead Redemption 2, video game publishers have gone out of their way to ensure that their games launch ahead of it. It may be part of the reason why Crackdown 3 and Metro Exodus slipped into 2019, while September 2018 is now a stacked lineup of Spider-Man, Dragon Quest XI and Shadow of the Tomb Raider. 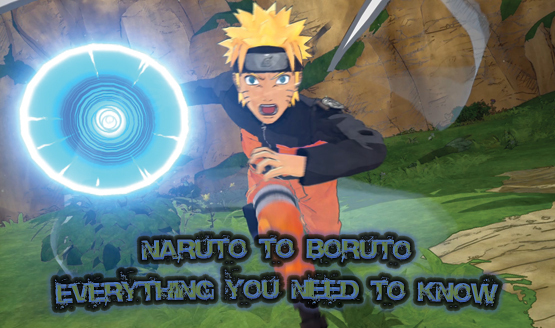 But before all that comes Naruto to Boruto: Shinobi Striker, Bandai Namco’s multiplayer beat-em-up! To ensure you’re fully up to speed, we’ve scoured the four corners of the Internet (and the PSLS archives!) to present to you everything you could possibly need to know about the latest Naruto title from the creative minds at Soliel. Naruto to Boruto: Shinobi Striker pummeled its way onto the PlayStation 4, Xbox One and PC on August 31, 2018. The only question is whether you consider Bandai Namco’s title to be a day one purchase or one you’ll inevitably pick up in the PlayStation Store sales further down the line.